The Hansgrohe Long Shower Arm with a Flange is a well-constructed piece of bath and shower equipment. 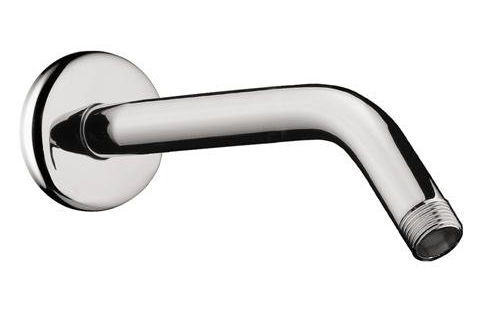 This long shower arm delivers a stunningly modern chrome finish with a solid brass construction that will provide tons of longevity as well as long-lasting durability for many years to come. The Hansgrohe Long Shower Arm with Flange boasts quick and easy installation so that you may begin using your upgraded shower as soon as possible. Although it's no recommended for use with oversized or square shower heads, the Long Shower Arm does include an escutcheon plate, in addition to a 1/2 inch male supply and a 9 1/4 inch reach.